Couchsurfing, for those who have yet to discover it, is an online social network geared toward travelers. The network allows you to post a profile and either off to host a traveler in your home, contact someone while traveling abroad to stay in their home, or otherwise meet for coffee or a drink. The obvious benefit to having a place to stay abroad is the savings in money, however for those who get involved, they soon find the cultural benefits far outweigh the monetary value. I originally signed up for the service in late 2006, in the hopes of hosting travelers before I left on my trip around the world. I wanted to see what it would be like to have a stranger from another country show up at my door. What it would feel like to show him or her around my home town, or at least point the person in the right direction to make their life a little easier. I was surprised to find how much hosting someone felt similar to traveling abroad myself. On my trip, I have been a guest with about 10 different people, including a French doctor on Tahiti, a professor in Singapore, a doctor in Cape Town, and Canadian interns in Geneva. All of the experiences have been wonderful, and the hospitality shown by each host has been eye-opening for me. When I began to search for a couch in Bogota from Spain, I was surprised to find a high membership in the big cities of Colombia! I spent my first 6 nights with Laura, a university student, and her roommate. She took me around the city, and made me feel right at home. It was my first indication of the friendliness of Colombians. I arrived in Medellin without a couch to surf, but I did arrange to meet up with a variety of people from the site for drinks and walking tours. First, Jesusa spent a few hours walking me past some of the government buildings downtown. 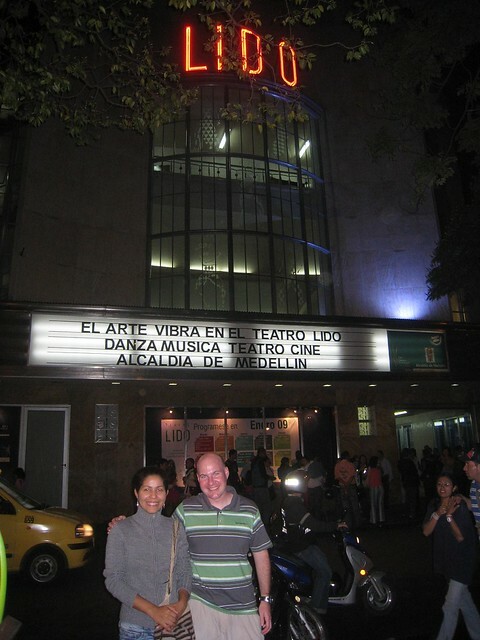 The next night, I met up with Sirley and her friends for dinner and drinks in a Parque Lleras restaurant. I reunited with Jesusa for a free dance performance at the Teatro Lido on a Friday night, and spent the following night at a Couchsurfing going away party for one of their own. Another weekend, it was salsa and meringue lessons with Luisa at Kukaramakara Club. I think you get the point. 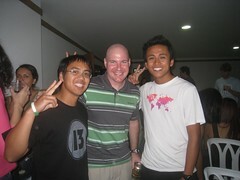 Couchsurfing in Medellin was turning out to be an awesome social experience! 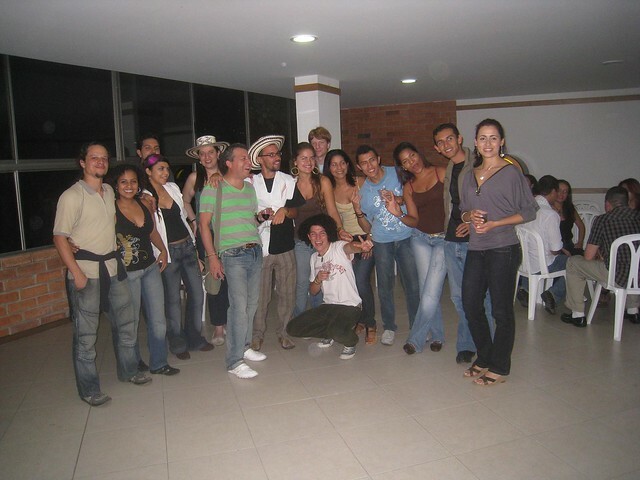 Couchsurfing, and its Medellin Group, is a way to access the local culture of a place without knowing the language, as the majority of members in any given country tend to speak at least a little English. And if you intend to live in Medellin, or any place with a similarly strong Couchsurfing community, your ability to build a social circle inclusive of the locals is made far easier. Partying, networking, socializing, cultural exchanges. It is all within reach, so sign up today! aprender ingles y tener muchos amigos un saludo. Dave, I just purchased your travel guide and clicked onto a link to get here. When will you update this guide?